I’ve posted about Mission Control from time to time, but I’ve never said much about the amazing people who work here. So I drew up a little chart of the people who I interact with the most when I’m volunteering here at the Strang Institute (a couple of which appeared here too). Note how I conveniently put myself right at center stage. Here’s a look behind the curtain in gif form. 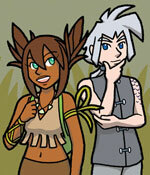 There’s no new comic today (due to stuff), but in lieu of one I do have this little treat to give you. We’ll have a new installment for you on Thursday. 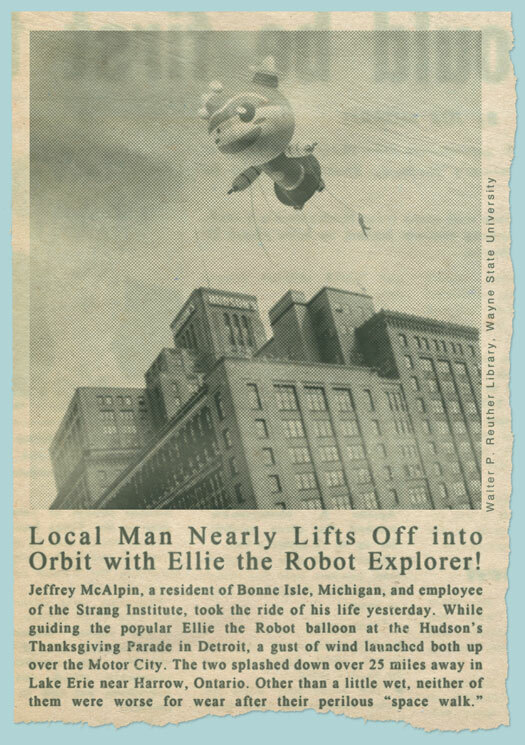 A few weeks ago, in case you didn’t read about it, I was explaining how back before Ellie was launched into space, Dr. Strang took her on a promotional tour around the world. They met world leaders. They were guests on popular television programs. And, of course, they also made appearances at local shopping centers. One of our readers, Frank, wanted to know if I could post something from Ellie’s world tour. 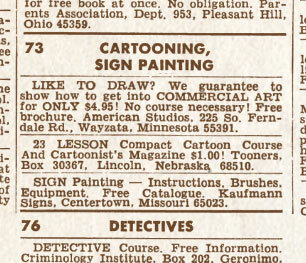 So here’s a newspaper ad for a department store appearance. 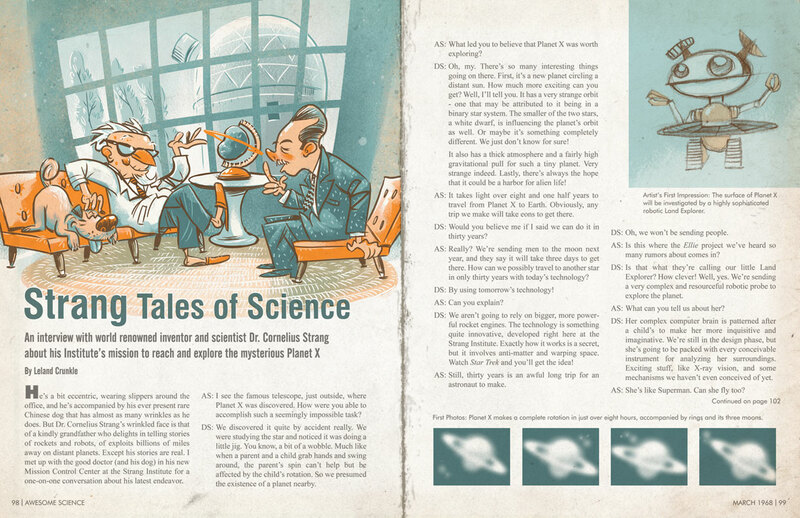 Plus it features a drawing of Ellie that doesn’t really look like Ellie. Dig that pony tail! 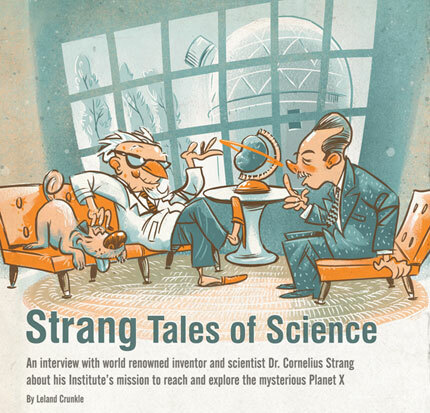 └ Tags: Dr. Strang, Ellie, Extra! It’s craft time everybody! 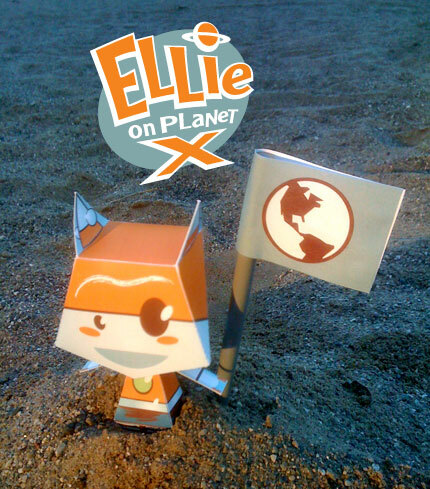 Get out your scissors and glue (and glitter too, if you must) and you too can have your very own Ellie on Planet X Papercraft Figurine of Action! Just download the pdf file of the pattern and directions (right HERE), print it out (preferably on card stock, although regular paper will work too), and follow the instructions to make your very own Ellie. 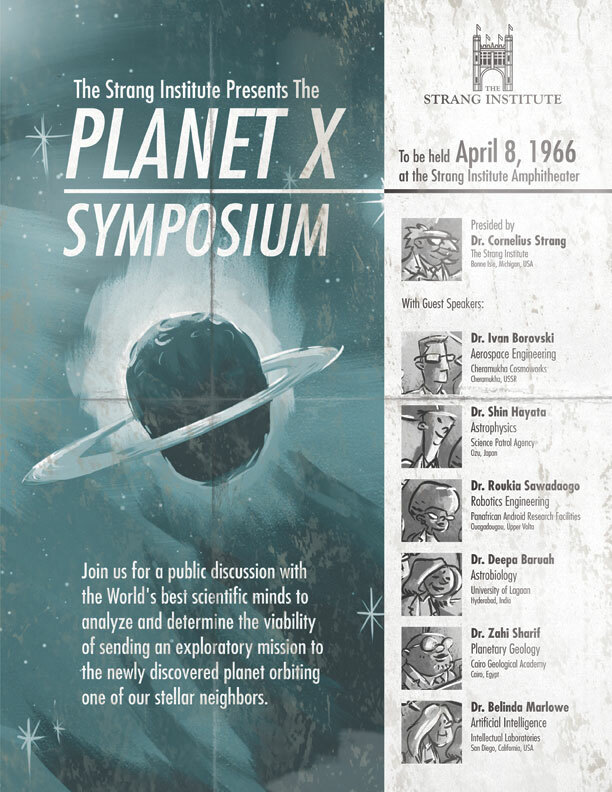 You’ll be exploring extra-solar planets in no time! A special shout out goes to Diana Stoneman, creator of the web comic Sweet and Sour Grapes.She developed the amazing papercraft pattern we used for our Ellie version. Go and visit her beautifully drawn, fantastically colored, and wonderfully written comic and tell her how awesome she is. Thanks Diana! Of course there was PEZ! 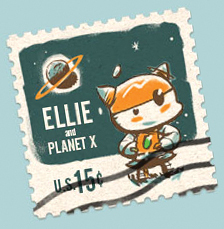 As we’ve mentioned before, Ellie could be seen everywhere and on everything back when she launched into space so long ago. 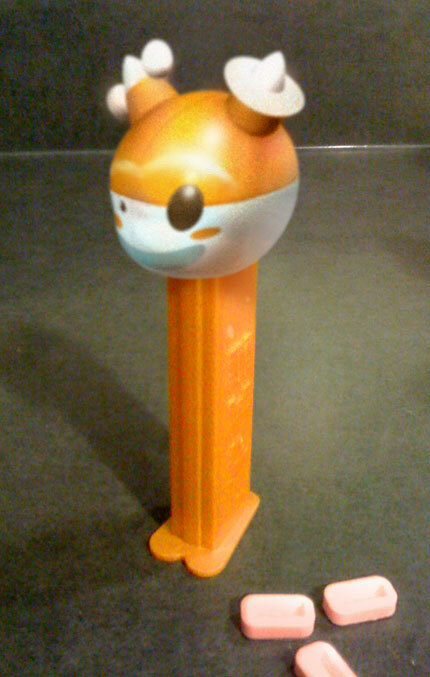 So it’s a no-brainer that she would have been seen in PEZ form! Ray Robinson is a collector of first day of issue covers – stamps that have been cancelled on an envelope on their first day of issue. What makes the ones he collects special is that he combines them with his other hobby of collecting comic character sketches. 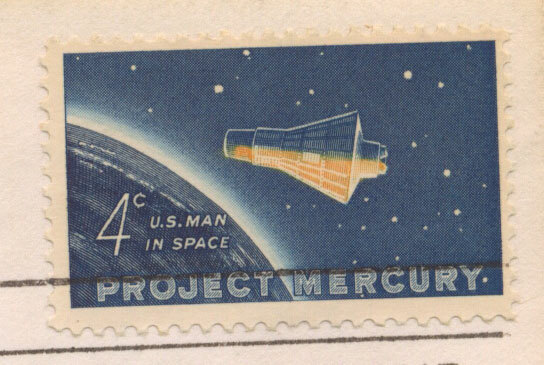 I was thrilled when he asked for Ellie on an envelope with this really cool Project Mercury stamp from 1962. I was also scared to death that I’d mess up and ruin it. I mean, this stamp is older than I am! Here’s a closer look at the stamp which commemorates the program that launched John Glenn as the first American to orbit the Earth. You can see more of Ray’s First Day of Issue Covers, featuring some really amazing artists, at his blog comicfdc.blogspot.com. Thanks for the honor, Ray! 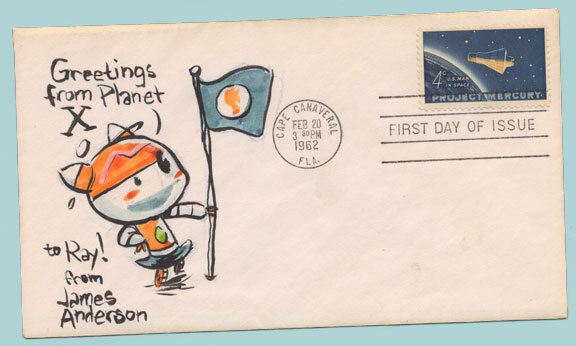 Ellie reader Carsten wanted to know if there were any stamps with our favorite robotic explorer on them from back when she was launched, and if we could see any of them. It took me a bit to find one, but voila! I’m pretty sure there were several more. 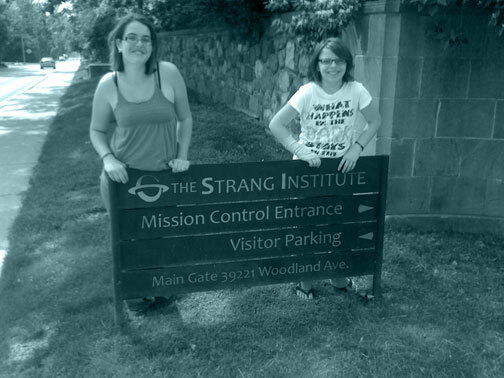 I picked up my nieces last Saturday for a picnic and hike around the Strang Institute grounds. Aside from the many woods, gardens, fountains, and statues all throughout the campus, they also got to see fun and exciting things like the computer monitor I sit in front of while downloading Ellie’s transmissions here at Mission Control. What they didn’t get to see was the pair of mastodons that wander the grounds. Violet and Betsy were cloned from two different mastodons who lived here thousands of years ago. Betsy, the older of the two, has adopted Violet as her own daughter, though the two are not related. It wasn’t for a lack of looking that we didn’t find them. The two are particularly stealthy, despite their size. To our surprise here at Mission Control, Ellie made an attempt to film herself, Jeff, and Muffin performing for the camera (a tiny one that she can set up remotely). Press the buttons on the control panel below to see what antics transpired eight light years away! Obviously Ellie and Jeff were inspired to strut their stuff by the dance sequence in A Charlie Brown Christmas. The music behind Ellie is Linus and Lucy by Vince Guaraldi, which was introduced to television audiences during the very same Christmas special. The music behind Jeff is Foggy Mountain Breakdown by Earl Scruggs, Lester Flatt & The Foggy Mountain Boys. For those not in the know, Flatt and Scruggs recorded the theme to the Beverly Hillbillies. 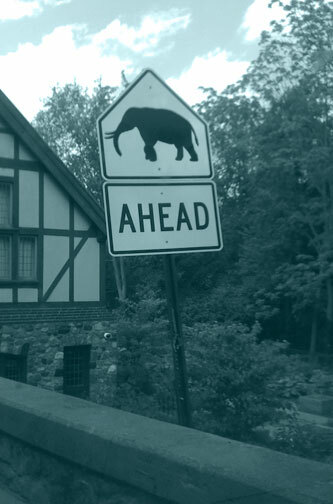 The music behind Muffin is Baby Elephant Walk, written by Henry Mancini for the film Hatari, and performed here by Lawrence Welk and his Orchestra. Up and Away . . . 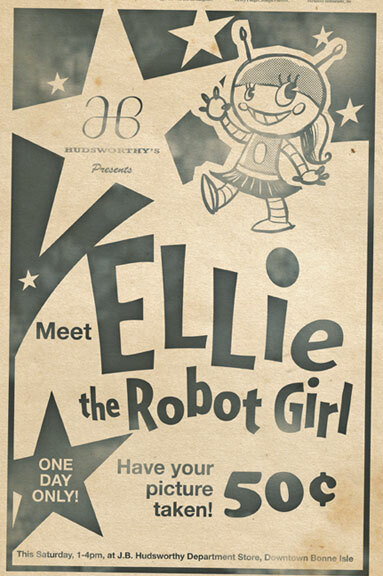 Some of you may be too young to remember, but back when Ellie was launched into space in 1972, she was super popular. Beyond super popular. She was everywhere and on everything. She even had a balloon in the Thanksgiving parade that made quite a news story back in the day. I know it’s not the season for turkey and stuffing, but I thought I’d share this clipping from the Bonne Isle Bumblebee of November 24, 1972.